Diane L. McInnis understands that getting a handle on a client’s situation and offering some constuctive information, takes time. Client’s need the opportunity to determine if the lawyer is the right fit before engaging her. Diane offers a no obligation initial consultation for up to two hours, including a reporting letter, for $350 inclusive of HST. That’s about an hour of services at no charge. Please quote “Divorce Angels” when booking your appointment. Diane McInnis is a family law lawyer, a family mediator and a collaborative legal professional. She completed her law degree at Dalhousie Law School in Halifax, Nova Scotia in 1990 and was called to the Ontario Bar in 1992. Diane practices exclusively in the area of family law in Kitchener-Waterloo. Diane offers legal advice to clients during one of the most challenging times in anyone's life. She is both passionate about her work, and compassionate toward her clients. Diane has represented clients in the Provincial and Superior Courts of Justice. However, after witnessing the negative impacts on clients and children who endure the litigation process, she no longer represents clients in court. 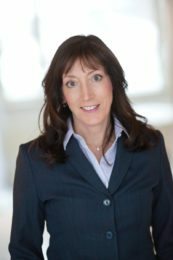 Diane is committed to assisting clients in a non-adversarial , constructive process to protect her client's rights, coach them regarding their obligations and to preserve their diginity during the difficult transitions from married to divorced. If you are involved in a "custody battle" Diane is NOT the lawyer for you. If, on the other hand you want to find positive solutions to parenting plans and protect your children from conflict, Diane is there to help. Diane is a member of the Law Society of Upper Canada, the Waterloo Law Association, on the core committee of the Collaborative Law Association of Waterloo Region and is a member of the Personal Rights Panel of the Office of the Children's Lawyer representing children in both custody-access disputes and Child protection matters. Diane understands the challenges faced by people who are experiencing the painful process of separating from his or her spouse. She offers a warm and friendly environment, recognizing that for many people, it may be the first time he or she ever needs the services of a lawyer. Highly approachable, she can explain complex legal issues in an understandable way. There is an emphasis placed on client communication, ensuring that her clients are in the loop, and making informed decisions. Diane has considerable experience dealing with high conflict couples and has seen how the collaborative team approach results in negotiated agreements which is protective of the parties and their children. Diane also has experience with child clients (privately and as OCL counsel), elder clients and members of the LGBTQ community.